Congrats to HELI Alumna Dr. Kristen Malecki! Congratulations to HELI 2010 alumna Dr. Kristen Malecki on her promotion with tenure! Kristen Malecki, PhD, MPH, was recently promoted to Associate Professor in the Department of Population Health Sciences in the School of Medicine and Public Health at the University of Wisconsin-Madison. She is grateful for the valuable support of HELI and the UW Institute for Clinical and Translational Research (ICTR) along the way. Dr. Malecki conducts research to discover and explain persistent health disparities between populations defined by socioeconomic, racial, gender and geographic characteristics. The unifying goal of this work is to understand what affects human vulnerability and sensitivity to environmental exposures, with an eye towards generating findings to guide environmental policies and programs. Special thanks to Dr. Malecki’s mentoring committee including Mari Palta, Chris Bradfield, Pat Remington, and Dorothy Farrar-Edwards. 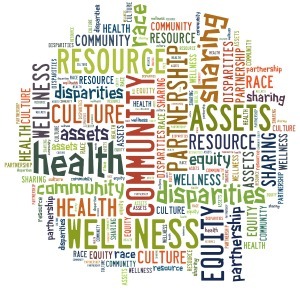 Maryland Center to Receive APHA Health Equity Award!